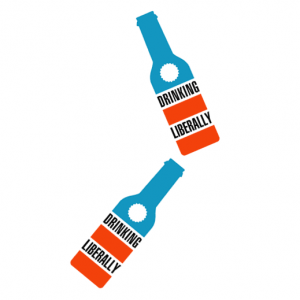 The first Drinking Liberally for 2011 is to be held in Dunedin. I recall sitting in the clubhouse at Havelock Bowls Club in the early ‘noughties with a clutch of fellow marine farmers from the Marlborough Sounds listening to Hodgson as Minister of Fisheries expound his vision for the future of the aquaculture industry. Truly unimpressive, as was his record of bringing the industry to its knees over the following five years. His opinion of himself greatly exceeds anything he managed to achieve in his time in the House. Good thing to, or the marine farmers would have pinched more of the commons until we had the whole coast surrounded. We would be fighting for a small public right of way as we have to do on land. Don’t forget the whole foreshore and seabed shemozzle started with fish farmers carving up parts of the sea bed for exclusive private use. In the 90’s I had a flatmate who was getting royally screwed by WINZ, as per govt policy. She stopped at Hodgeson’s electorate office on her long walk home. When she got home, the phone was ringing – WINZ were calling to apologise profusely and say that her back-pay will be in her account tomorrow a.m., does she need food before then, a written apology is in the mail and they’d tried to call to apologise half an hour ago but she wasn’t in. Don’t know the guy, but he sure as hell hired the right people. Respect. That sounds like Pete – of all the MPs I’ve known in the party, he’s the one that inspires the most out of his volunteers. I’m not ready to forgive him for bringing in charges for laboratory testing for private medical patients. He made an ideologcial decision without any understanding of what that would mean for patients with high needs.